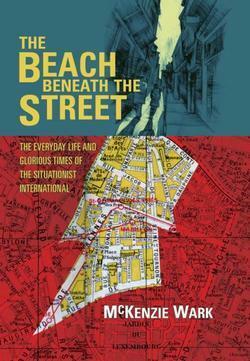 With the Occupy movement gaining ground throughout the world, McKenzie Wark's smart overview of the situationist movement, The Beach Beneath the Street: the Everyday Life and Glorious Times of the Situationist International (Verso, £14.99), feels particularly timely. For years, Laura Oldfield Ford, who is very influenced by situationism, has produced a fanzine, based on her dérives around London, with words and beautiful, confrontational line drawings of the city's forgotten people and neglected places. Now, Savage Messiah has been collected in book form (Verso, £19.99). It is a wake-up call to anyone who can only see modern cities through the lens of gentrification. In fiction, David Foster Wallace's monumental (and incomplete) The Pale King (Hamish Hamilton, £20) is almost unbearably poignant and, for me at least, somehow better for not being finished. And Mirza Waheed's The Collaborator (Viking, £12.99) deserves to be read, not only because it is an accomplished novel, but because it moves the focus back on to the troubles of Kashmir.